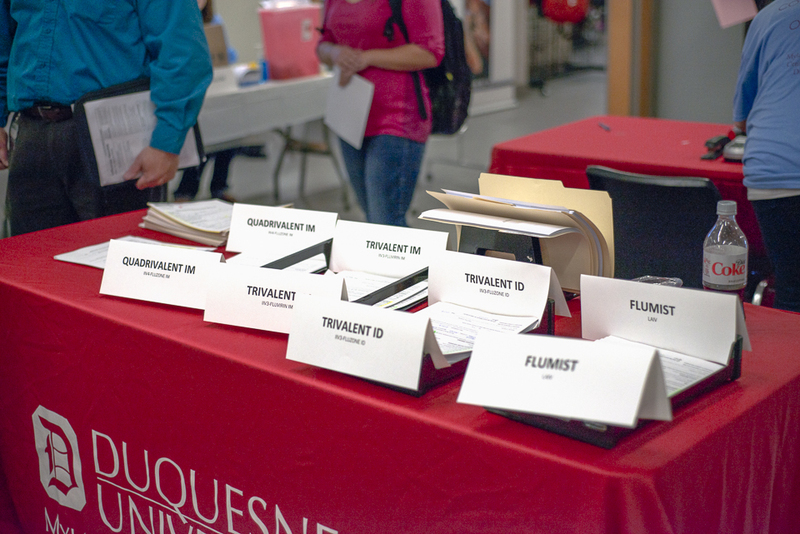 The Center for Pharmacy Care hosted two of its three on-campus Flu Clinics this semester: one on October 2 and the other on November 6, both in the Student Union in front of Student Health Services. Drs. 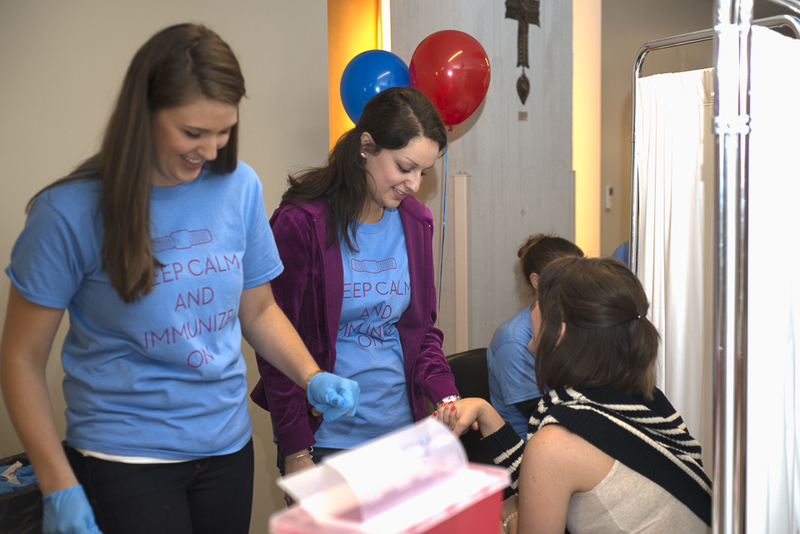 Suzanne Higginbotham, Brandon Herk, Elizabeth Bunk, Rebecca Clarke, and Bill Trombatt vaccinated over 250 employees and students with the help of student pharmacists volunteering with APhA-ASP Operation Immunization and Self Care. The event was a great success toward our goal of achieving 100% vaccination of our employees and students against the flu this year. 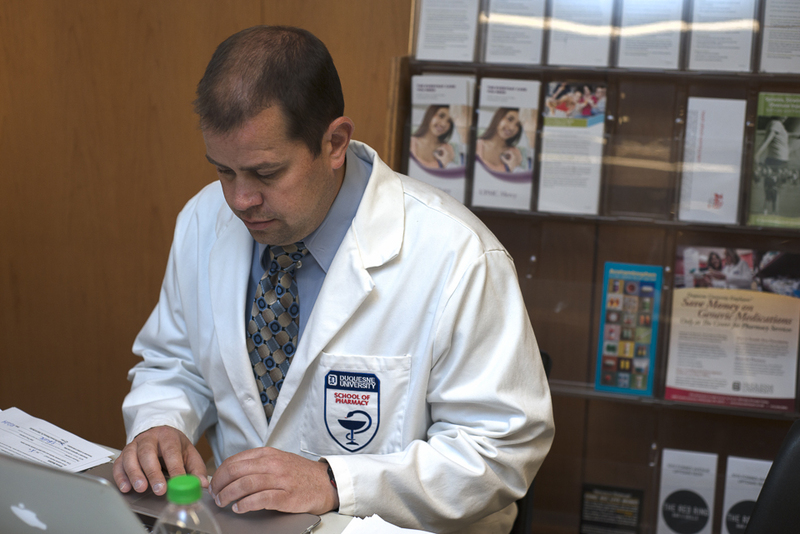 The Center for Pharmacy Care will be hosting one additional Flu Clinic on campus, on Thursday, December 4, from 10 a.m. to 2:00 p.m. in front of Student Health Services in the Student Union. Faculty, staff, and students are all welcome to receive the flu vaccine.